A spin on the ice is the perfect activity to escape a rainy day or to cool off in the heat. 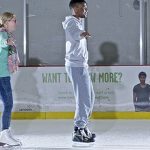 Ice Centres in London offer a range of learn to skate courses, public skating sessions and lessons that suit all ages and abilities from toddlers to adults. Get yourself up and skating quickly (and safely) with ice skating lessons at the Ice Centres. Group lessons are taught by highly qualified coaches, who run a range of courses for all ages from toddlers to adults. It’s a fun way to make new friends and learn a new skill! 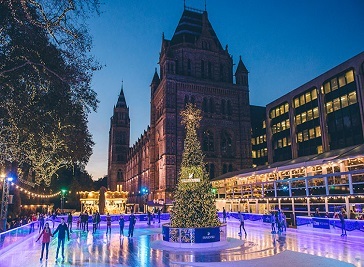 The Natural History Museum Ice Rink will return in October 2017. We are central London’s only skating rink open all year round. Meaning any day, any season, any weather – it’s on. Our strict climate-controlled environment guarantees superior-quality ice across our jumbo 9,000ft2! Private tutors, group classes, adults, kids as well as open public sessions. Streatham Ice and Leisure Centre sits in the heart of Streatham and is a hub for the local community. 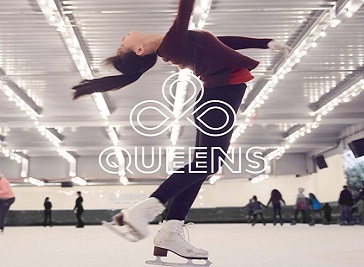 It boasts the only Olympic sized ice skating rink in London and is a multi facility Leisure Centre with a 100 station fully equipped state-of-the-art gym. Whether you want to learn to swim or skate you can get the best tuition with our highly qualified coaches.